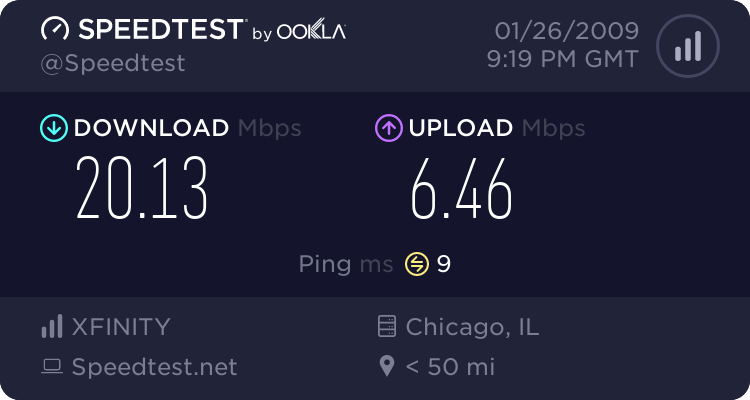 Comcast Speed at 3:19 p.m. after installation of Motorola SB6120 with Comcast Ultra service initiated. Comcast installation wizard crashed and did not work. A call to a Comcast customer service rep was required to prepare the modem for use. The rep was able to activate the modem from her desk in Texas.